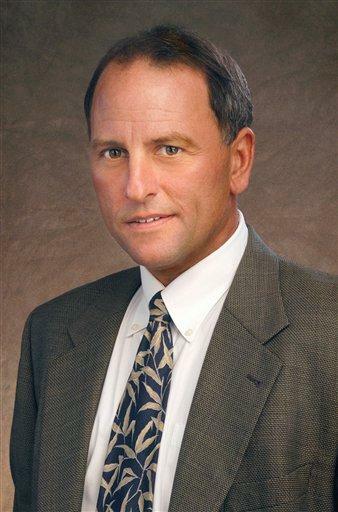 NEW YORK (AP) - Jeff Fager, executive producer of "60 Minutes," has landed an additional job at CBS News. He will fill the newly created position of chairman of the news division, CBS announced Tuesday. At the same time, the network named David Rhodes as CBS News president. Rhodes has been head of U.S. Television for Bloomberg since 2008, and before that, spent 12 years at Fox News Channel, starting at the network's launch in 1996 as production assistant and rising to vice president of news. At CBS, he will run the news division's day-to-day operations, reporting to Fager. Fager and Rhodes succeed Sean McManus, who has been promoted to the newly created position of chairman of CBS Sports. McManus had been president of news as well as sports since 2005. He became sports president in 1996. "As we expand our operations at CBS Sports, CBS College Sports Network and in other parts of our company as well, we will require Sean's uncommon depth of knowledge of the business ... to keep CBS on top of that game," said Leslie Moonves, CBS Corp. chairman. The appointments are effective Feb. 22. In his new role, Fager will report to Moonves and guide the overall editorial direction of CBS News programming. But he'll also remain at "60 Minutes," where he has been executive producer since 2004 and worked as a producer for several years before that. "The ability to combine the two jobs, being chairman of CBS News and staying on at '60 Minutes,' is ideal," he said. Fager, who joined CBS News in 1982, said he views his new duties as a way to bring the ideals of "60 Minutes" to the rest of the news division. "Take a look at '60 Minutes' and everything we stand for - the best reporting, the best storytelling," he said. "That's what I'm going to be bringing to the job: those same values and judgments that guide us every Sunday." "60 Minutes" boasts enviable ratings, as well. Fager acknowledged that boosting the audience for the perennially third-place "CBS Evening News" would be part of his game plan. "I don't like being No. 3 anywhere," he said. "There are 21 million people, at least, watching the three newscasts every night. I'd like to get a bigger piece." CBS News is part of CBS Corp.